To Our Customers: Thank you for the fabulous survey responses and testimonials! This is the fourth year in a row we have received the Quality Service Award for our office. 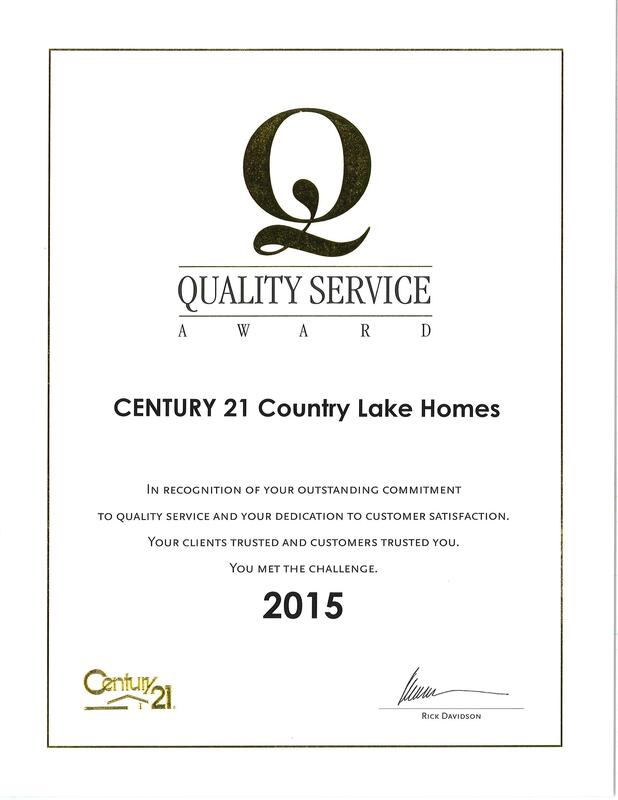 We could not have done it without your cooperation in completing the survey sent out by Century 21 Corporate. We will continue to provide outstanding service to our buyers and sellers for 2016.